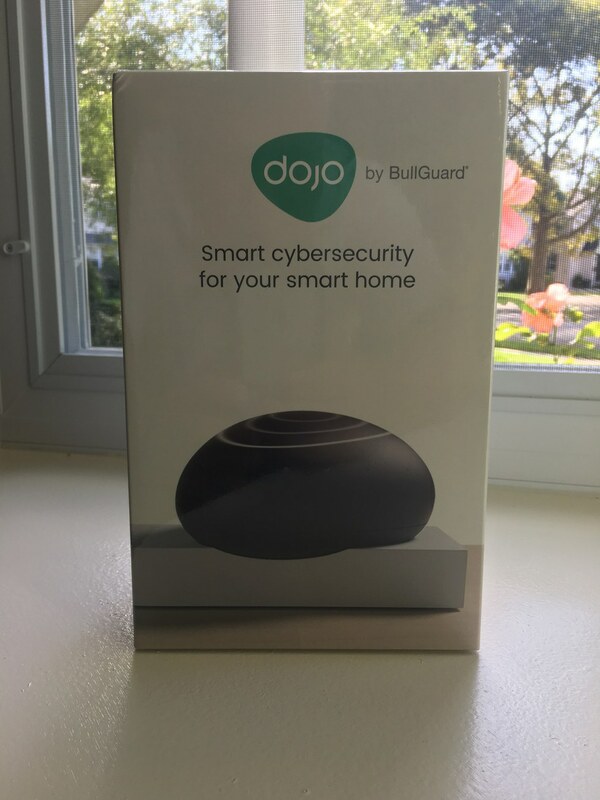 Dojo by BullGuard is a smart firewall, made by hackers and security experts, to thoroughly protect your smart home. Pros: Comprehensive suite of IoT security products, compatible with VOIP routers and Wi-Fi Mesh networks, built by hackers and security experts, works with unlimited devices, includes a smart firewall, offers a secure web proxy, Automatic Device discovery and categorization and automatically adjusts to security threats and behavior. Cons: subscription plans, the need to access your router's settings to disable DHCP, complex to set-up. Security is one of the biggest concerns buyers have around their smart home devices. The fear of someone hacking in to smart lights or a front door's smart lock is on the mind of many consumers today. Smart home devices often don't have built in security protocols, can be easily accessed by hackers, who then use that entry as a gateway to personal information to hack other devices, even unlocking the front doors if they want. What can you do to help secure your smart home devices as well as your personal data and privacy? A product that can automatically secure your smart home devices, and that adjusts in real time to security threats of all sizes, is something to consider. 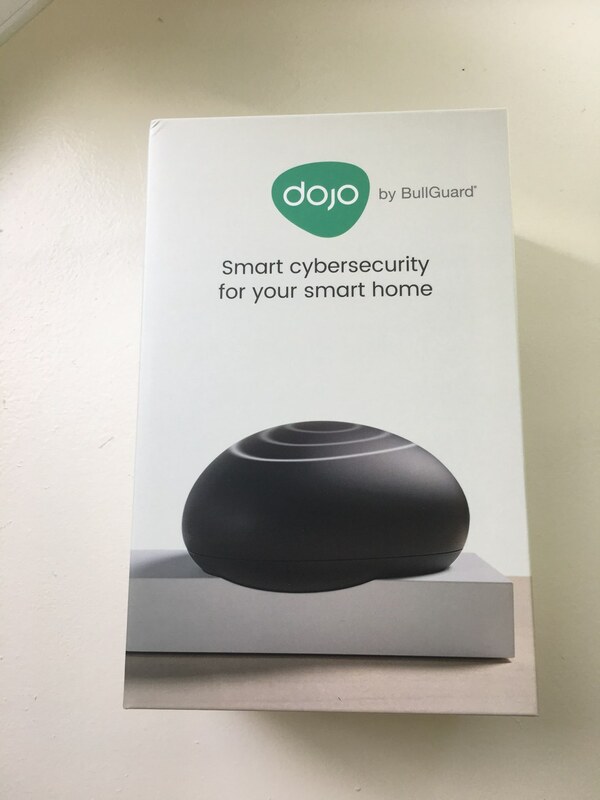 GearBrain believes Dojo by BullGuard, a comprehensive suite of IoT security products for today's smart home, is worth a look. 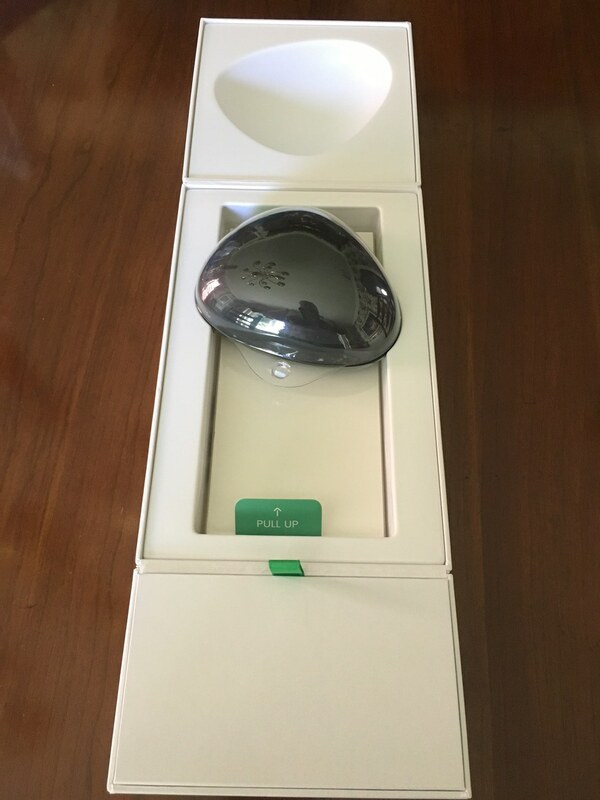 The company sent us a device for us to test and see if it helped secure our smart home gadgets at use. A new smart home security device which is addressing and solving one of the biggest problems facing the smart home market: security. Dojo monitors and protects all your connected devices from cybersecurity and privacy threats in real time. Any connected device in your household, whether it's your refrigerator, washing machine, baby monitor, home security system, lights or smart locks, Dojo secures them from unwanted visitors 24 hours a day, seven days a week. How do they secure our devices? 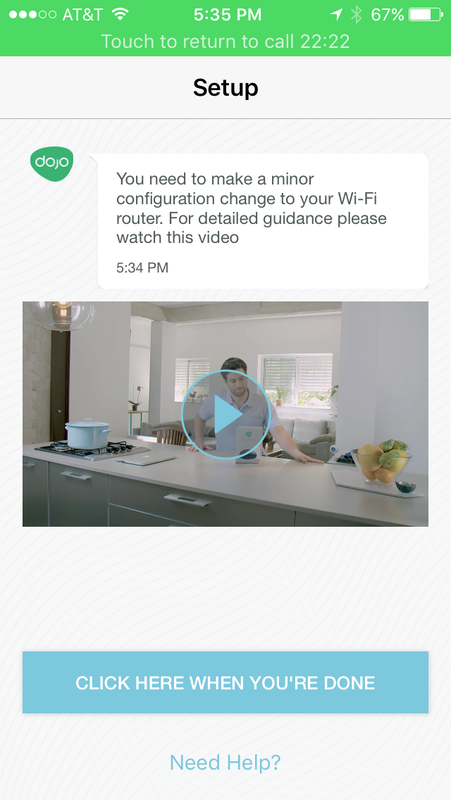 Dojo helps protect any device connected to your home Wi-Fi network. The gadget uses intelligent learning to monitor activities and after finding suspicious, sends you notifications on these activities. 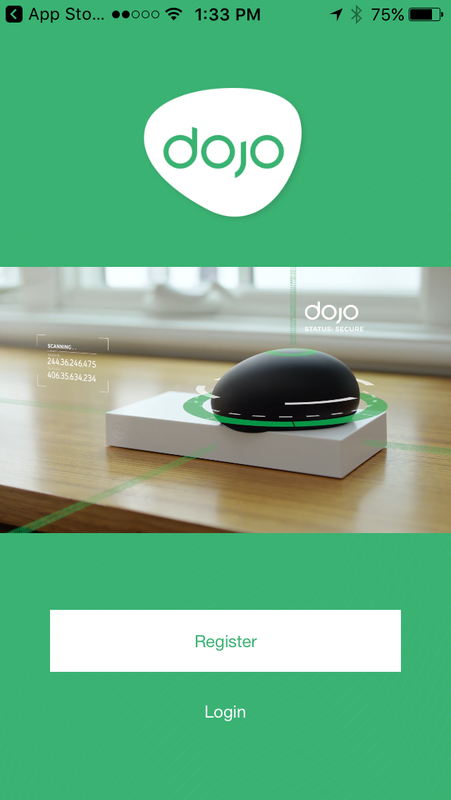 Dojo also continuously monitors your home network and is always adapting, planning and securing your home network. But how does Dojo really secure your home and devices? It's very simple. Your router assigns IP addresses to any connected device connected within your home. Dojo takes over this function and assigns IP addresses to these connected devices. Whether it be your smartphone, tablet, computer, smart lock, smart lights, connected hub or even your streaming media device like Chromecast, Dojo takes over the assigning of IP addresses. By owning this process, Dojo is able to monitor and mitigate any internal or external attack as well as put their unique crowdsourced security platform to work to help continuously keep your devices safe. This is very good feature because you will not need to go out and buy a new device every few years. Dojo by BullGuard Mobile App welcome screen for iOS devices. Using the Dojo mobile app, which is available for both Android and iOS devices, you can get real-time instant risk notifications on privacy breach detections and attacks Dojo blocks. This security product does a nice job of providing peace of mind to home owners who have a lot of devices — from tablets and gaming systems to laptops — connected to their home Wi-Fi network. The number of devices that can be linked are unlimited. 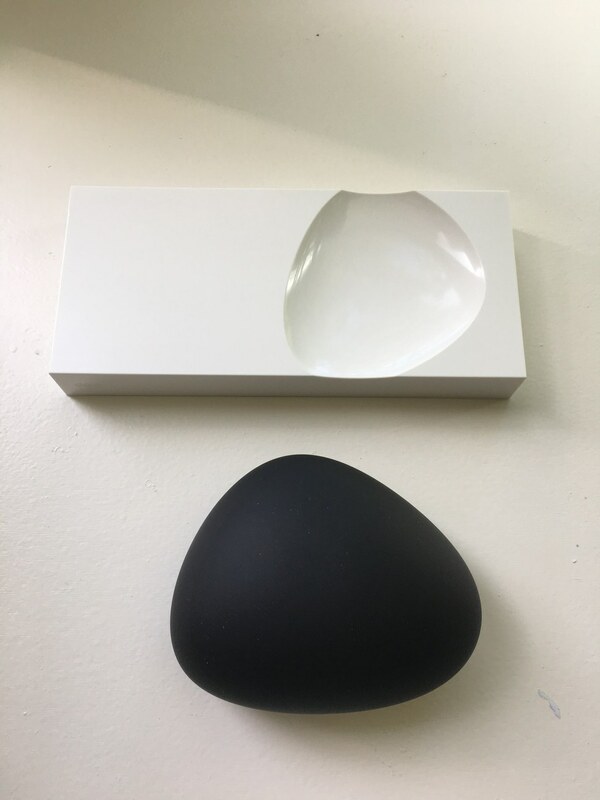 When we unboxed Dojo, we found a black pebble-shaped block, a docking station, power cords and ethernet cable. 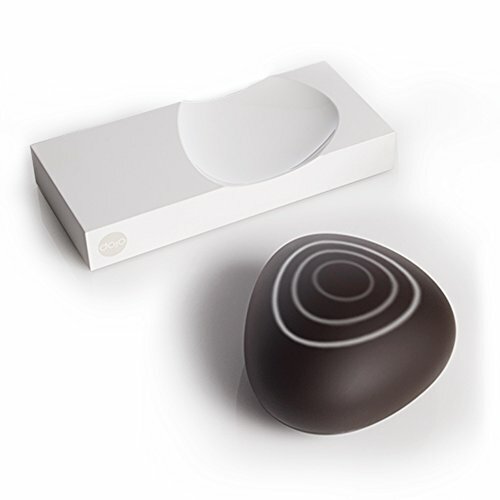 The Dojo Pebble is transportable but the base unit is not. The base unit needs to be connected to your Wi-Fi router all the time. You can move the Pebble around your home and use it as a visual display. Every 10-15 seconds, the Pebble will light up. If you see a green ring appear, it means everything is ok. If you start to see yellow rings, this means Dojo has detected something and will automatically mitigated it. The color you don't want to see is red. Red rings means you need to take an action in the Dojo app. And if your Dojo runs out of battery life, no worries. 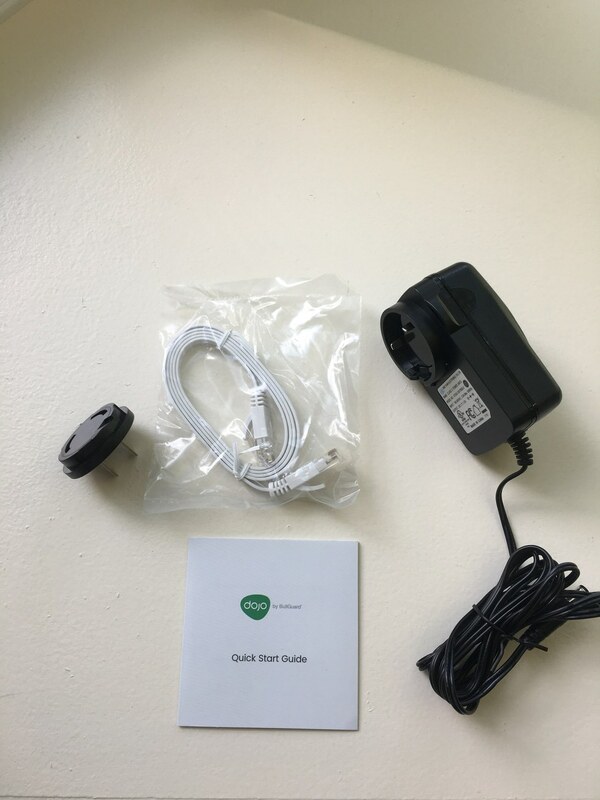 Even without the Pebble powered up, the user still receives notification of any suspicious activity or behavior because the base unit is connected. Before starting, set aside four AA batteries, turn on your smartphone's Bluetooth and have your router's admin Wi-Fi credentials (user name and password) available. Unbox your Dojo and connect the base unit to your Wi-Fi router. Next plug in the power cord to your base unit and then download the Dojo app (iOS and Android). Note: Make sure you search for the Dojo by BullGuard app and not just "Dojo which will turn up a bunch of game apps. You can also use a QR reader to get the Dojo app. Once you download the app, turn on your Dojo Pebble and begin the setup process. We recommend watching the set-up video — it's informative and will help give you an idea on the setup process before you start. With your router's admin credentials, you'll disable the DHCP (Dynamic Hosting Configuration Protocol) protocol. This allows Dojo to take over the process of assigning the IP addresses and create subnets for all devices so they can monitor and secure all connected devices in a home. 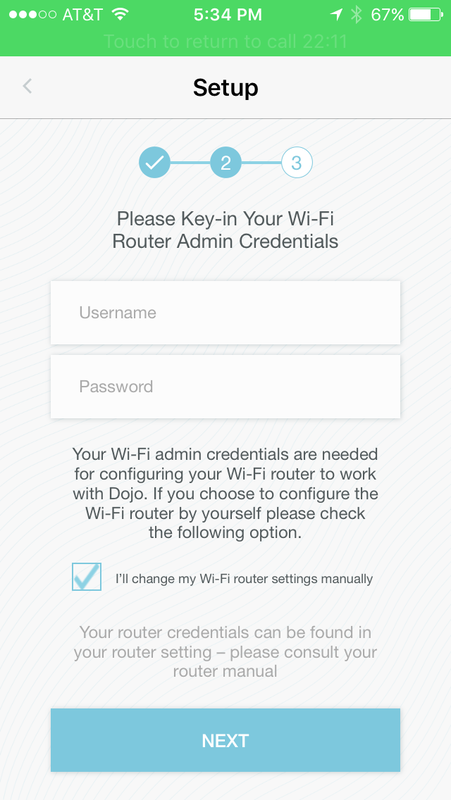 Dojo by BullGuard Wifi Router Setup screen on mobile app. Once you connect to Dojo, start the registration process. If you have problems connecting to your Dojo, do some troubleshooting. To start, check that you have a Wi-Fi connection and that Bluetooth is activated on your smartphone. Second, make sure your router's DHCP is enabled and if your Wi-Fi router is compatible with Dojo. Dojo works with many Wi-Fi routers (i.e. Netgear and Cisco) and mesh Wi-Fi networks (i.e. Portal, Netgear Orbi and eero). On Dojo's site is a list of compatible routers and mesh networks and recommendations on which mode is best to use for these devices. Dojo by BullGuard Setup Video in mobile app. If you run into any additional issues or problems, call Dojo support, as we did as our Wi-Fi connection was configured for another IoT security device like Dojo. Thomas, our Dojo Support person, helped us correct the problem and also explained everything to us simply. That's key for consumers who may be very scared or intimidated by managing their technology, including changing their Wi-Fi router's settings. Once we got everything connected, we moved to the next phase: selecting the best mode to use. There are two ways to connect Dojo to your router. 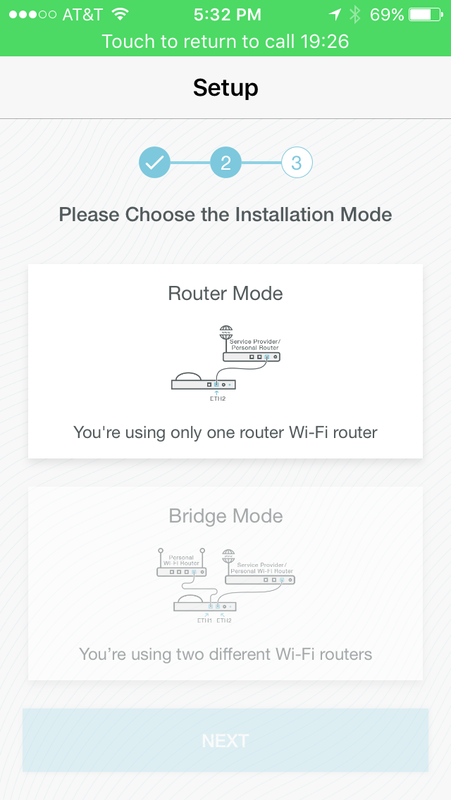 You can either connect directly to your router, or you can do a bridge mode. Dojo prefers you use what it calls the router mode. But this will depends on how you set up your home Wi-Fi network. If you have your Wi-Fi setup along with your telephone and TV (as with most cable companies), you should be able to use the router mode. This was the setup we had for our test, which worked. Not sure what type of setup you have? Contact Dojo support before installing which will help you in determine the best mode for your network. After we selected router mode, we registered our Wi-Fi modem with Dojo. In the Dojo app, log in with your router's admin details. If you don't feel comfortable giving Dojo your credentials, check a box in this section that allow you to manually input your credentials. We chose that option which brought up a video showing us how to configure our Wi-Fi router. If you're still uncomfortable or confused, Dojo's customer support will walk you through this part. Dojo's Thomas helped us here again, by reconfiguring our router — and we were glad to have him on the phone because this part can take a while to complete. Dojo first has to analyze the security of our network and only then starts to register each of our connected devices. Normally this takes a few minutes, but it can take longer, depending on the speed of your network and the type of router. We had a typical Verizon FiOS internet connection and router — but we had 28 devices to register. Once we had our Dojo up and running, we started to get notifications. 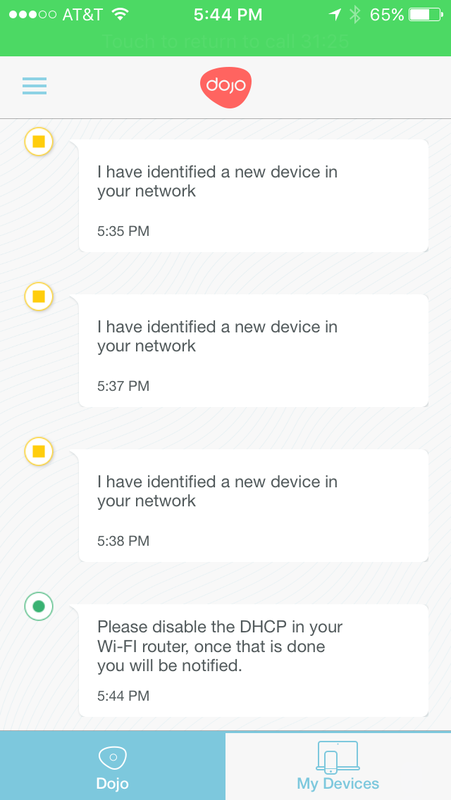 These notifications, or alerts, are for activity Dojo sees on your network, ranging from detection of a suspicious network scan to a new device identified on the network. At this state of the setup process, Dojo recommends rebooting all the devices connected to your home Wi-Fi network: Computers, laptops, smartphones, tablets, smart home devices, like connected hubs or smart locks, Amazon Echo and even your streaming media devices, like Chromecast or Roku, should be turned off and then on again. This process allows Dojo to reset the IP addresses of the devices and identify them on your home network. Dojo by BullGuard notification screen on mobile app. On the Dojo app, you'll start to see your devices appear — and some of the names might look different in the app. Dojo names the devices based on the names of the components they see when registering a device. For instance, we had a connected Nexia Bridge on our test network — which got listed as one of the part numbers inside the connected hub. 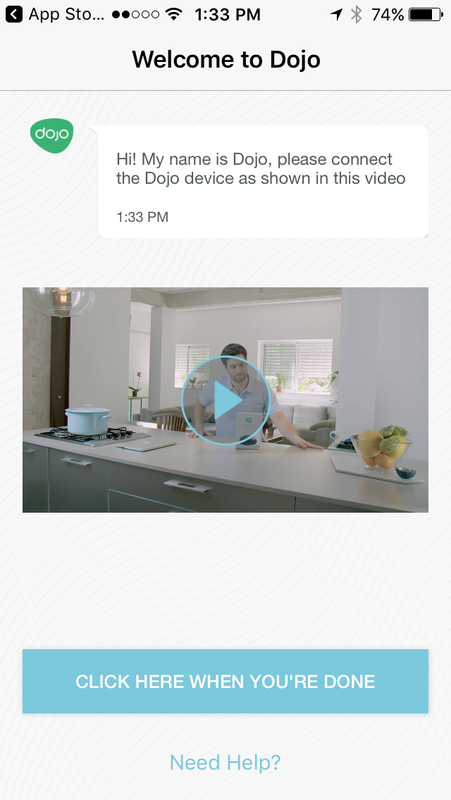 Over time, Dojo learns what the devices are and updates the device names on your list. In the app, you'll find two sections, Dojo and My Devices. Dojo section shows you Dojo's activity. The My Devices section lists all your connected devices on your home network. In this section, there are four groups: smart home, personal, guests and unprotected. When a device is first detected by Dojo, they place them in the unprotected group. Once this device has been identified and secured with a new IP address, it moves up to the Guest section. Now, you can hit the edit button in the top right corner of the app and it will allow you to move the device into either the smart home or personal group. Or you can leave it in the Guest group is needed. Dojo by BullGuard has a 12-month warranty (which can be extended) and retails for $199 with 12 months of free service. After 12 months, there's a monthly charge of $9.99 or a flat $99 for the year if paid in advance. You can purchase Dojo on Amazon and get free shipping. Dojo by BullGuard is backed by a team of security experts and hackers. Who better to build an IoT security product and service that can protect and monitor billions of connected devices in real time. We like the fact its mission is to construct a unique and innovative security and privacy service that can protect today's smart home. We also like how Dojo's system can automatically adjust to threats or unwanted behavior on your home network. One of the biggest problems with connected devices in the world of Internet of Things (IoT) is security. How do I prevent hackers from unlocking my smart lock or finding a gateway in my smart thermostat? These real-life issues need to be addressed, especially by manufacturers who still haven't built security protocols into their devices. Until smart home devices are built with security protocols, smart home owners need to take security into their own hands. Dojo helps us become less vulnerable and can help protect us from security threats and lethal attacks 24/7. We recommend Dojo — but you have to decide if $199 for the first 12 months is worth the price for this kind of protection.